- Five links of gleaming sterling silver nestled at your neckline will be sure to catch the eye of any Celtic warrior who happens by. Necklace measures 19" overall, but is adjustable to 17" or 18". 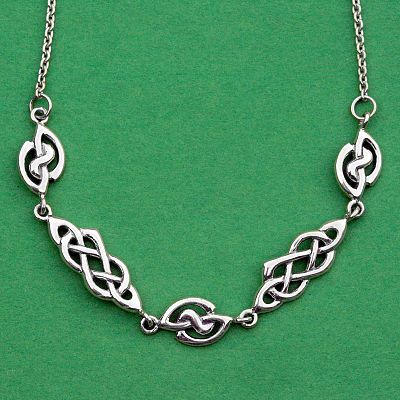 Do you have any other questions about our Silver Celtic Link Necklace?